Sometimes I don’t know where my pantry ends and my beauty cabinet begins. Many of the ingredients play an important role in both cuisine and self-care, and coconut milk is no exception. Although this tropical staple was, at one point, condemned for its high-fat content, we now know that it’s a nutrient goldmine. 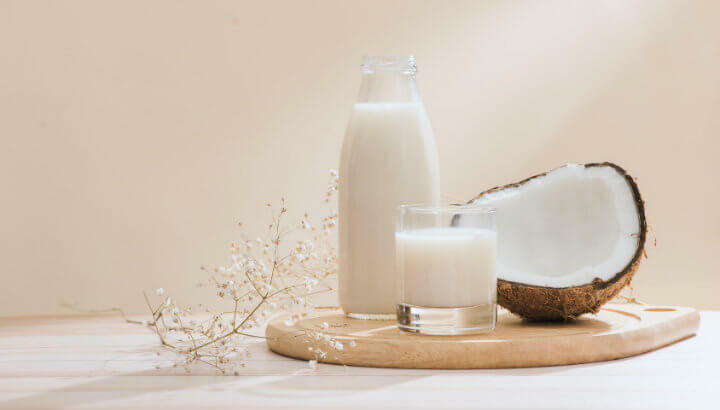 Not only is coconut milk a healthy food to eat (the saturated fats actually improve cholesterol levels, contrary to conventional beliefs), it’s also a winner for fabulous hair and skin. So how did this exotic fruit make its way into our supermarkets and pantries, and what’s so magical about it? Coconut milk is one of many useful products made from the Cocos nucifera tree. The coconut palm grows throughout the world’s subtropical regions but originated in India and Southeast Asia. Some migration of the coconut happened due to the natural flotation ability of the fruit — it literally hitched a ride on the ocean, landed on new shores and flourished there. The uses for coconut milk are endless. Humans have also assisted in the global spread of coconuts, with traders and travelers alike carrying the fruit from India to East Africa 2,000 years ago, and then to Europe via the Silk Road. The coconut gained its popular name thanks to Portuguese traders who likened it to a skull or cocuruto. The coconut palm has been called ‘the tree of life” because of all the valuable products it can provide to humans for food, craft, housing and cosmetics. Coconut milk specifically is traditionally produced by grating and then straining the flesh of a mature coconut to extract the fatty opaque liquid. 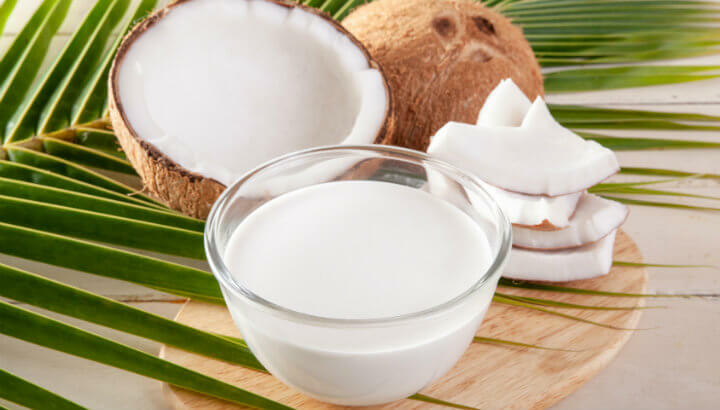 Coconut milk is rich in nutrients, both when consumed and when used as a beauty product. After water, the majority of the milk is composed of saturated fats, including lauric acid, which supports health and immunity. The main vitamin and mineral components of coconut milk are manganese, phosphorus, magnesium and iron. It also contains smaller amounts of zinc, potassium and B vitamins. The best quality coconut milk is made fresh from whole coconuts, but you can also get a pure product in cans. Read the label to ensure you’re buying a full-fat coconut milk with as few additives as possible. Coconut milk nourishes the body, inside and out. Once you have your hands on some good coconut milk, you can get started with some of these clever natural beauty tricks. Hey Buddy!, I found this information for you: "10 Ways To Use Coconut Milk In Your Beauty Routine". 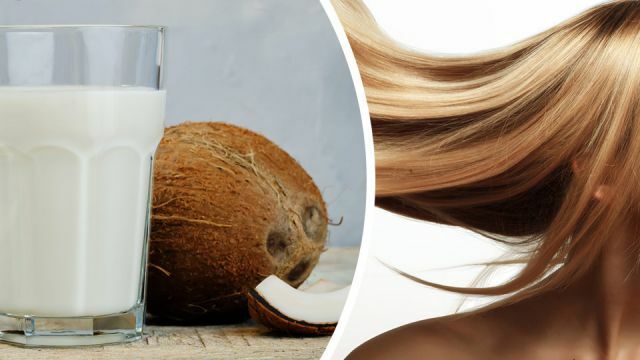 Here is the website link: https://www.thealternativedaily.com/10-ways-to-use-coconut-milk-in-your-beauty-routine/. Thank you.